The U.S. Air Force Space Command (AFSPC ) began testing modernized civil navigation (CNAV) message capabilities on the GPS L2C and L5 signals for the first time yesterday (June 15, 2013). This first test period is scheduled to continue through July 1 (Julian Day 182), according to a Notice Advisory to NAVSTAR Users (NANU 2013034), although a tentative CNAV test plan shows the tests ending on June 29. 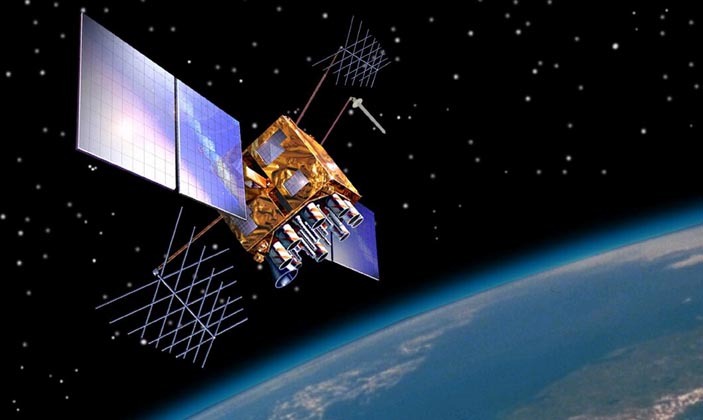 The Air Force does not expect that any GPS satellite outages or degradations the test period, which AFSPC says should be “transparent” to GPS receivers that do not process L2C or L5 CNAV. — that is, th CNAV broadcasts will not adversely affect “legacy” user equipment. Fifteen CNAV message types are defined in the current Interface Specification (IS-GPS-200F and ICD-GPS-705B). CNAV message types will be tested in an incremental fashion in accordance with baseline plans developed by the GPS Directorate at the Space and Missile Systems Center (SMC/GP) at Los Angeles Air Force Base, California. Details on the test plan, including an outline of test scenarios can be found at the NAVCEN web page. The full operational L2C CNAV capability will be included in the initial operational phase of the next-generation operational control segment (OCX) that is scheduled for deployment in mid-2016. The purpose of the CNAV tests is to ensure enterprise-level readiness to operate, broadcast, and receive the modernized civil navigation messages on L2C and L5. The tests also provide an opportunity for civil users and manufacturers to participate in L2C and L5 evaluation. 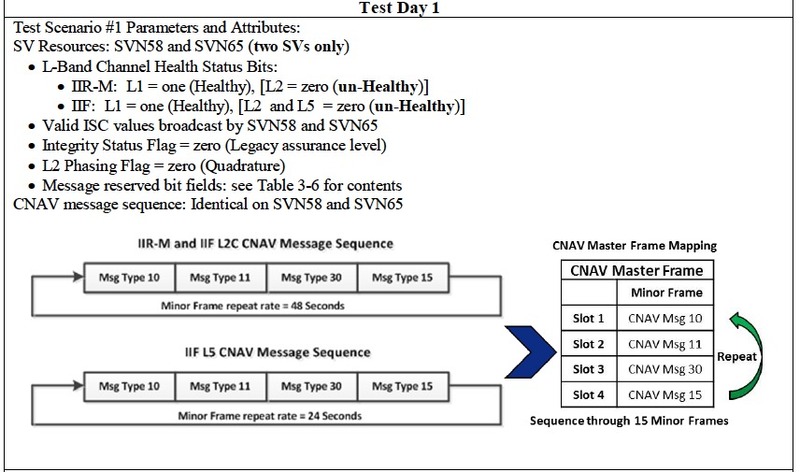 To support the CNAV tests, SMC/GP will employ an engineering developmental test tool (i.e., the MODNAV Engineering Tool Suite) to generate CNAV message content and uploads for the GPS IIR-M and IIF SVs. This process leverages the Kalman filter data elements from the Architecture Evolution Plan (AEP) system. The CNAV messages types and broadcast sequence will vary based on GPS satellite block type (i.e., the IIR-M and IIF) capabilities and will vary over time. Live-sky broadcasts will implement the CNAV messaging capabilities of the GPS IIR-M and IIF satellite vehicles (SVs) in support of CNAV message verification and validation. The 2nd Space Operations Squadron (2 SOPS) will orchestrate the CNAV Live-Sky broadcasts from the GPS Master Control Station (MCS) located at Schriever Air Force Base, Colorado. SMC/GP will generate compliant CNAV message content and uploads for each IIR-M and IIF SV, and 2 SOPS will transmit the CNAV uploads to the GPS IIR-M and IIF SVs on a daily basis during the test period. AFSPC says a key metric of the CNAV test program’s success will be the “performance evaluation and utility assessment of the L2C and L5 navigation signals by the civil community.” Consequently, SMC/GP is inviting civil users and receiver developers to participate in the test planning process. Any military or civil users who encounter user equipment problems during or after testing should contact their respective points of contact: civil users, U.S. Coast Guard Navigation Center at 703-313-5900, <http://WWW.NAVCEN.USCG.GOV>; military users, the GPS Operations Center website <https://GPS.AFSPC.AF.MIL/GPSOC>, DSN 560-2541, commercial phone, 719-567-2541, email <gpsoperationscenter@us.af.mil>. Aviation users should file reports consistent with Federal Aviation Administration–approved procedures. The L2C and L5 test signals should not be considered operational, and users employ them at their own risk.